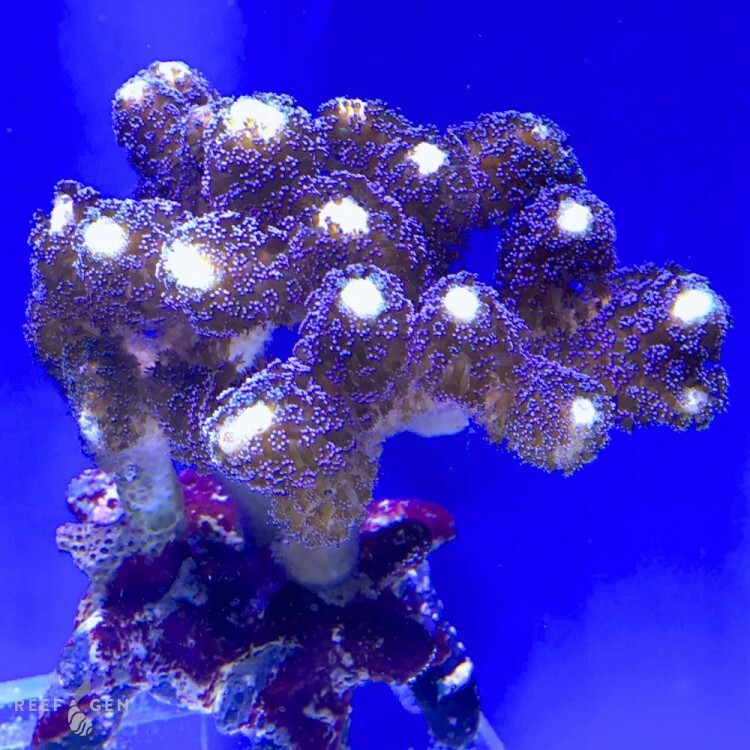 This milka is a large beauty grown from a 1” frag and well on its way to becoming a 6” monster colony! It is cranking with color and health as it loves Joe’s water. This milka classic dates back to early days of Sanjay and Joe’s travels to Europe. 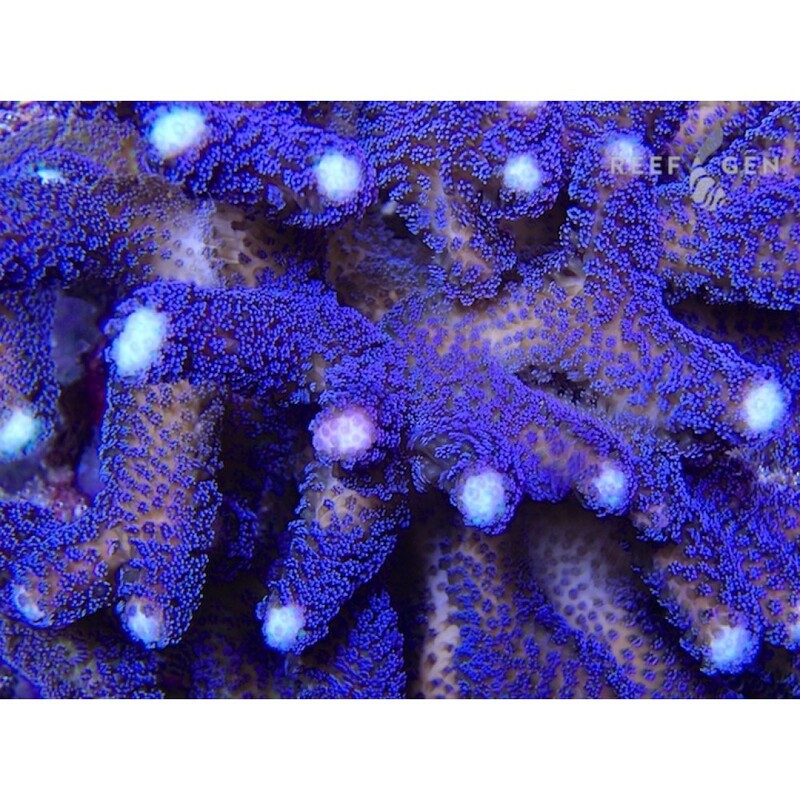 Milkas have bright lavender polyp tentacles with distinctive white growth tips. SanJoe’s variety boasts unique green highlights.